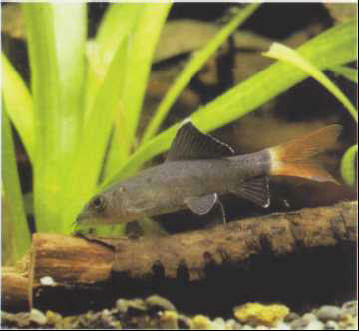 The red-tailed black shark, rather nocturnal in its habits, obtains its food by sifting the bed of its natural habitat. In captivity, it needs extra vegetable material. By day it lurks in various hiding places (rocks, roots, etc.) which form an essential part of the aquarium furnishings. Size: 10-15 cm. ВИСЛЯНЕ , в 9 в. западнославянское племенное объединение (княжество) с центром в Кракове на территории М. Польши. Участвовали в этногенезе польской народности.